From 1960 until the birth of 24/7 cartoon channels in the early 90’s (and even for some time after), Saturday morning cartoons were a major staple of animation in the United States. 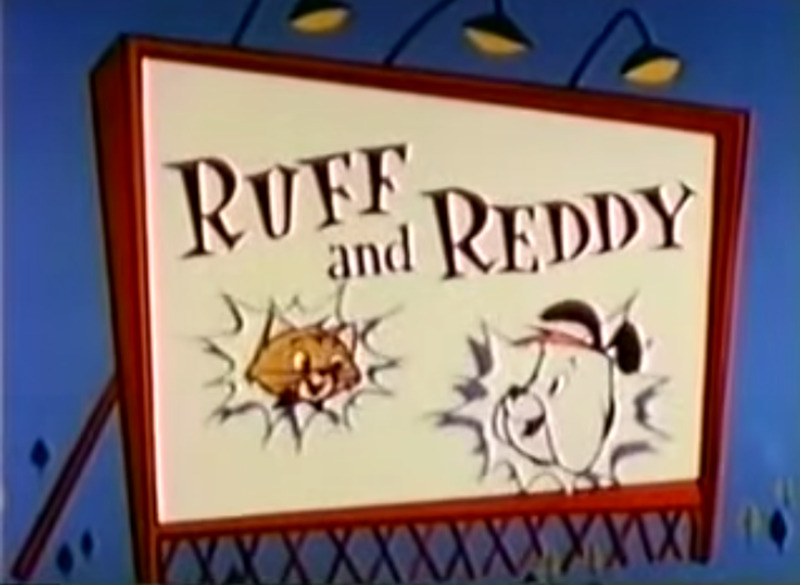 While Hanna-Barbera’s Ruff & Reddy series has often been cited as the “first” cartoon made for Saturday mornings, this is incorrect; While Ruff & Reddy did air on Saturdays as part of a block of old Columbia Pictures cartoons on NBC, it aired in the afternoon, not the morning. If that’s the case then, what was the first “Saturday morning” cartoon? 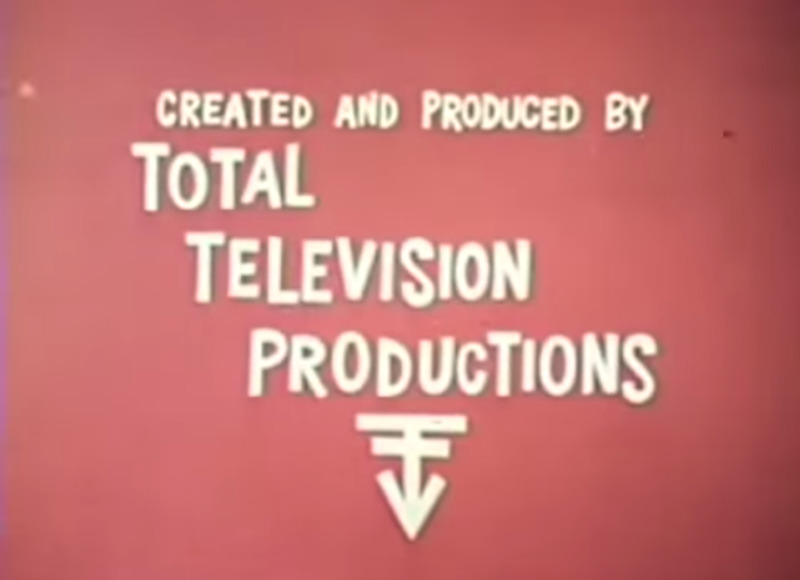 Total TeleVision Productions came into being in the aftermath of Rocky & Bullwinkle’s success. General Mills, who had helped sponsor Rocky & Bullwinkle, felt that the show was such a success that they decided to start up their own production studio to make cartoons for television, primarily to promote their cereal. The studio was jointly founded by four men, all of whom were General Mills executives: Buck Biggers, Treadwell D. Covington, Joe Harris, and Chester Stover. 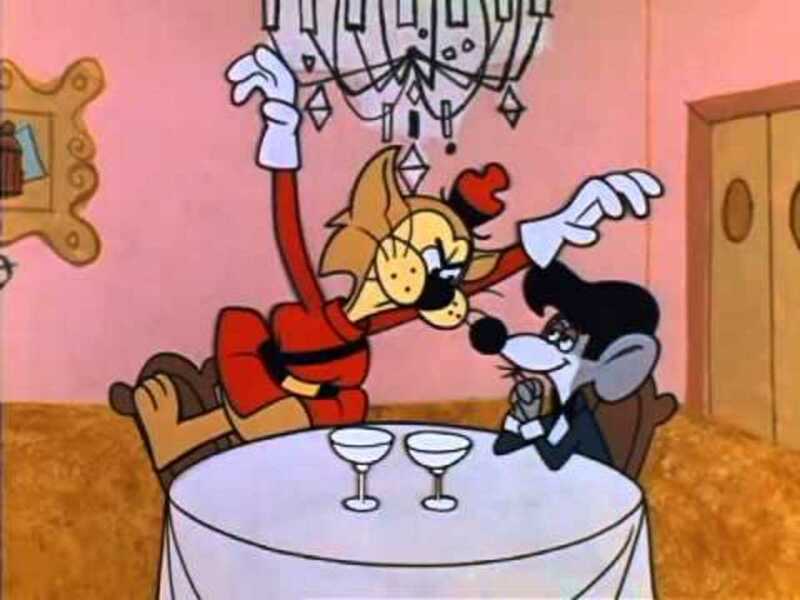 Like with the majority of Rocky & Bullwinkle episodes, all of Total TeleVision’s shows were primarily animated by Mexican animation studio Gamma Productions, who were notorious for sloppy animation and mistakes. Their first production, King Leonardo & His Short Subjects, used Rocky & Bullwinkle as a template for its format. Each half-hour episode would start with a short about the titular characters, continue with two standalone shorts with their own sets of characters, then conclude with a second main short continuing the story of the first. 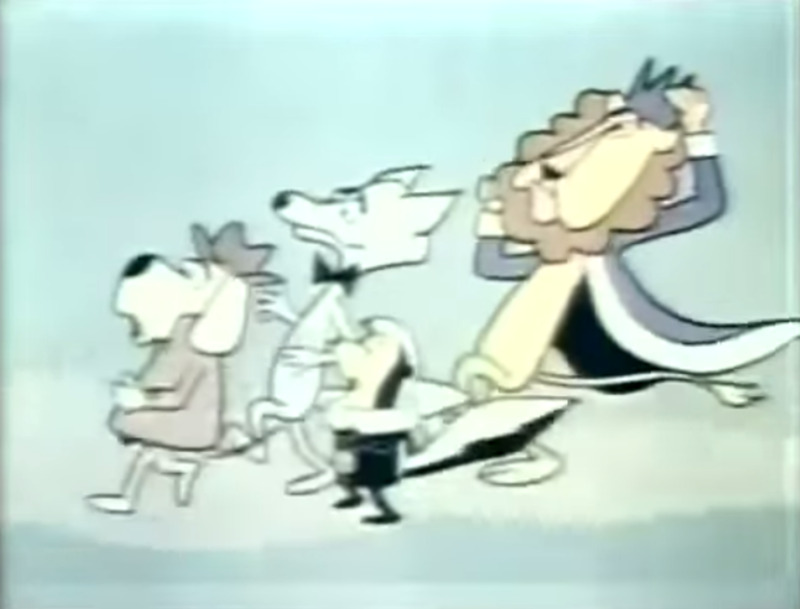 The main short series is “The King and Odie”. Leonardo the Lion (named after Leonardo Da Vinci) rules over the African nation of Bongo Congo, but while his intentions are often good, he’s clumsy and absent-minded. The kingdom is only held together thanks to his much more competent assistant, a skunk named Odie Cologne. The relationship between King Leonardo and Odie was described by creators Buck Biggers and Chester Stover as “like that of a CEO and his right-hand man”. Things, however, aren’t helped much by the interference of Leonardo’s brother Itchy, who frequently plots (alongside his own assistant, the gangster Biggie Rat, and the evil German scientist Professor Messer) to overthrow Leonardo and take the throne for himself. The second short focused on Tooter Turtle, a turtle who enjoys reading history books, but wished he could go back to experience those events for himself. 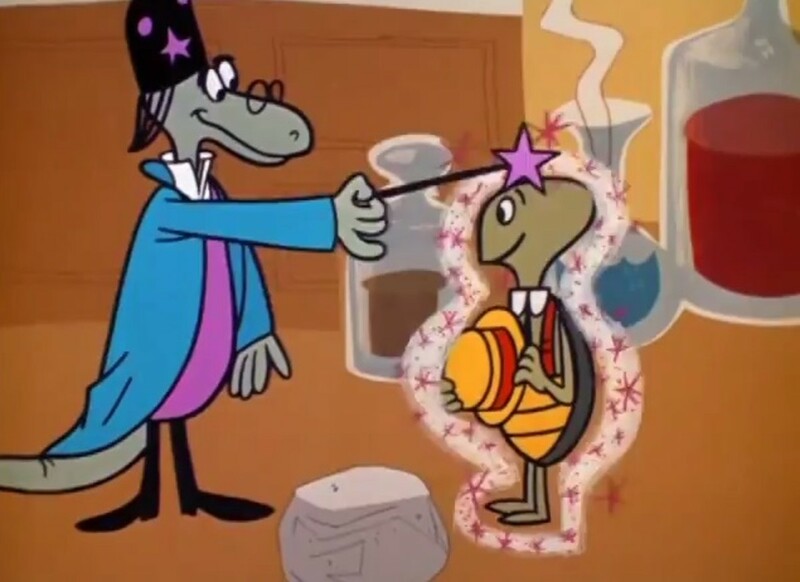 Luckily he has a friend, a lizard named Mr. Wizard who lives in a cardboard box, that knows magic spells to transport Tooter through time and space. Each episode, Tooter goes to another time period, initially enjoying the experience but eventually realizing he’d much rather be back home. Mr. Wizard, who observes and narrates Tooter’s time-travelling adventures, would then call him back home and remind him to be happy with the time period he was born into. 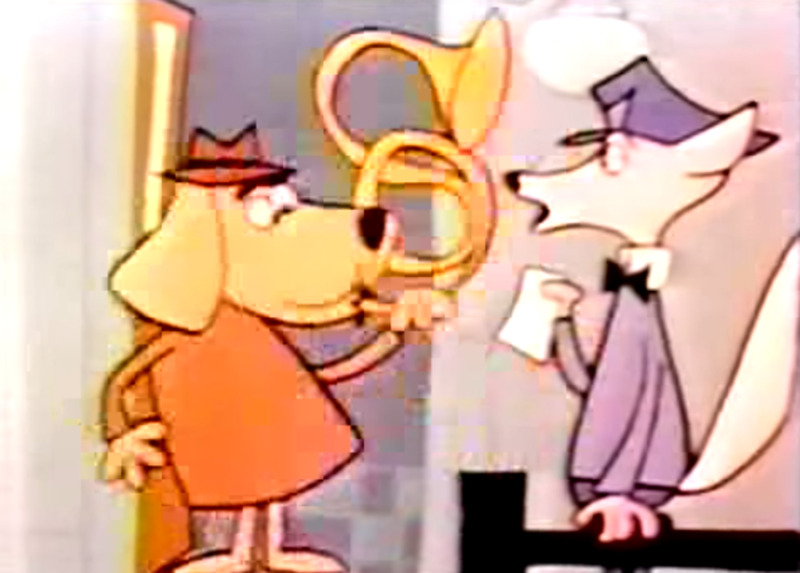 The last regular short was “The Hunter”, about a dog sleuth detective who helps to protect the innocent from the criminal Fox. For these three shows, Jackson Beck, best known as the voice of Bluto in the theatrical Popeye shorts, and Allen Swift, who had been known as children’s show host “Captain Allen” on New York’s WPIX station, voiced most of the characters. Jackson Beck voiced King Leonardo, Biggie Rat, and Professor Messer, while Allen Swift voiced Odie, Itchy, and Tooter Turtle. For the remaining main roles, Mr. Wizard was voiced by Sandy Becker, another children’s show host from New York’s WNEW station. The Hunter’s southern accent was provided by radio actor Kenny Delmar (the inspiration for Looney Tunes character Foghorn Leghorn), while the Fox was played by voice actor Ben Stone. In its initial airings back in 1960, production occasionally ran behind on the shorts, leading to filler material to be shown instead. Most of the time, this time was filled by old Columbia Pictures cartoons like Lil’ Abner and The Fox & the Crow. However, other times, the show gained a fourth short: Twinkles the Elephant. Twinkles was, for all intent and purposes, an in-show commercial for cereal. Twinkles Cereal was a star-shaped oats and corn cereal released in 1960, which featured a storybook box. Alongside his pals Sanford the Parrot, Fulton the Camel, and Wilbur the Monkey, Twinkles the Elephant would go on various adventures on each cereal box. To further promote this unique idea, General Mills produced a series of 90 second shorts starring Twinkles that aired as part of King Leonardo and His Short Subjects. Reportedly the shorts were originally pitched to Jay Ward to air as part of The Rocky Show, but he objected to it with good reason. The Twinkles shorts were shameless (though not as shameless as Post Cereal’s own cartoon “Linus the Lionhearted”), sometimes airing only to be directly followed by an ad for the cereal itself. 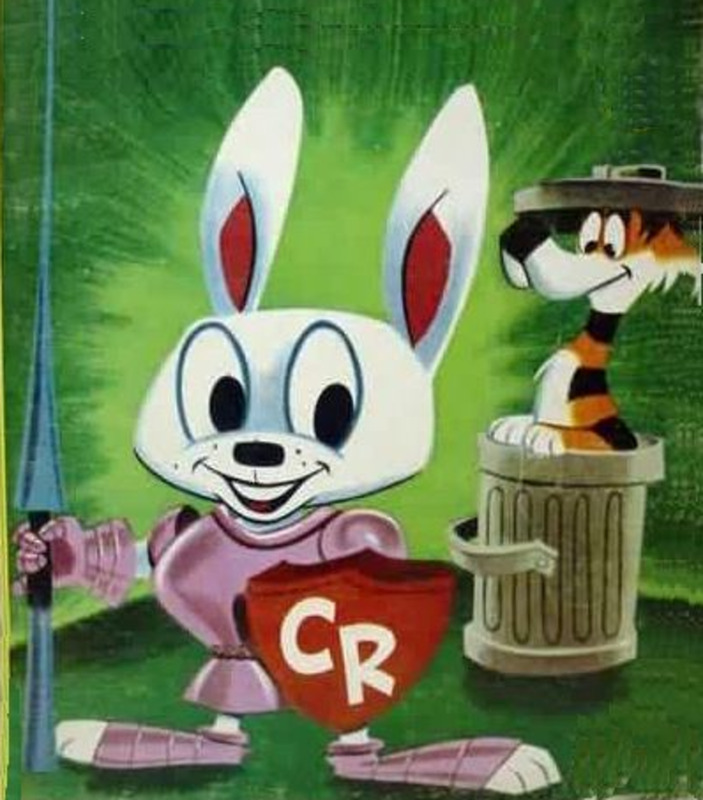 In the end, complaints about being a manipulative cartoon led the FCC to eventually force General Mills to pull the Twinkles shorts from the show. 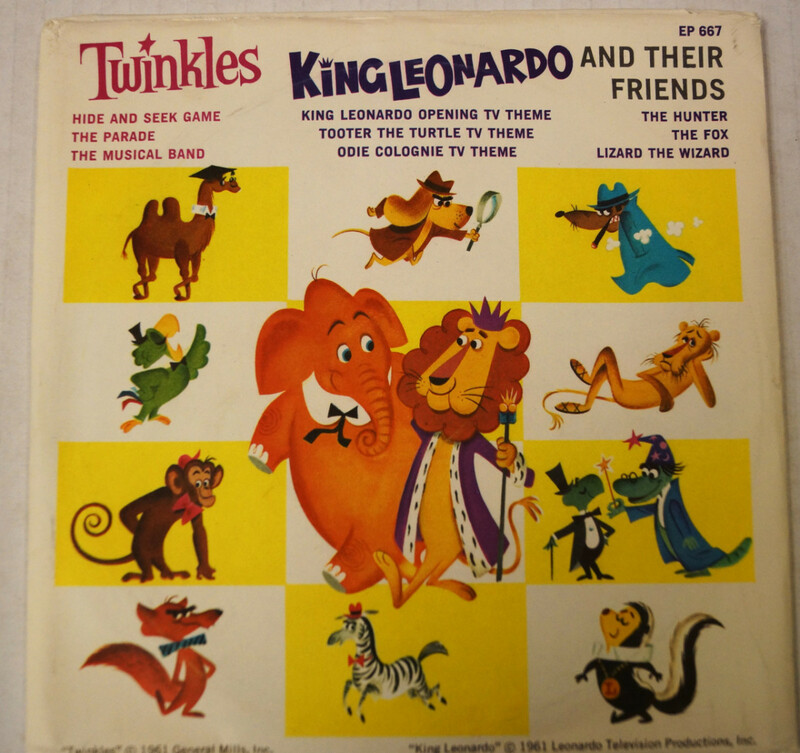 When King Leonardo eventually aired in syndication, Twinkles was nowhere to be seen. 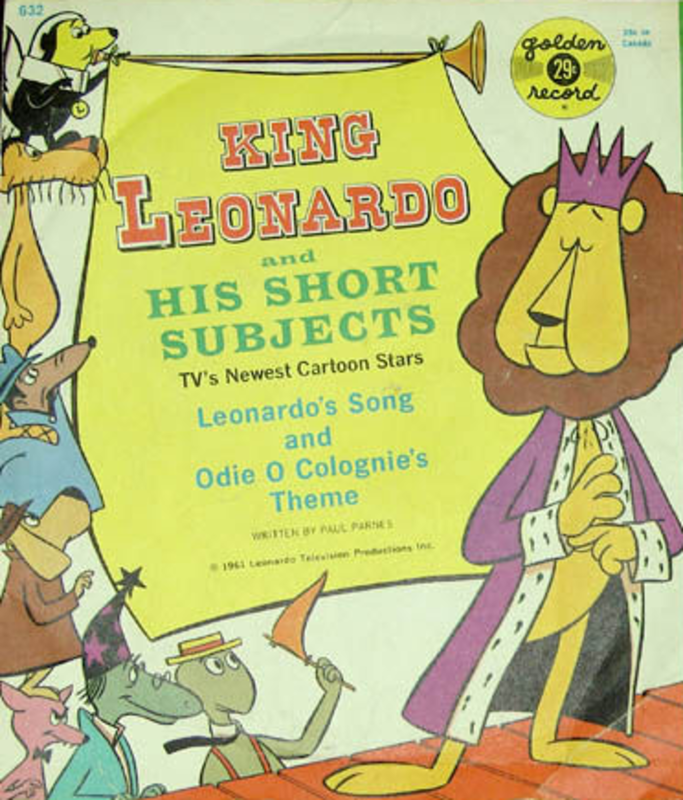 King Leonardo & His Short Subjects premiered on Saturday, October 15th, 1960 at 10:30am on NBC, right after the Sheri Lewis Show. 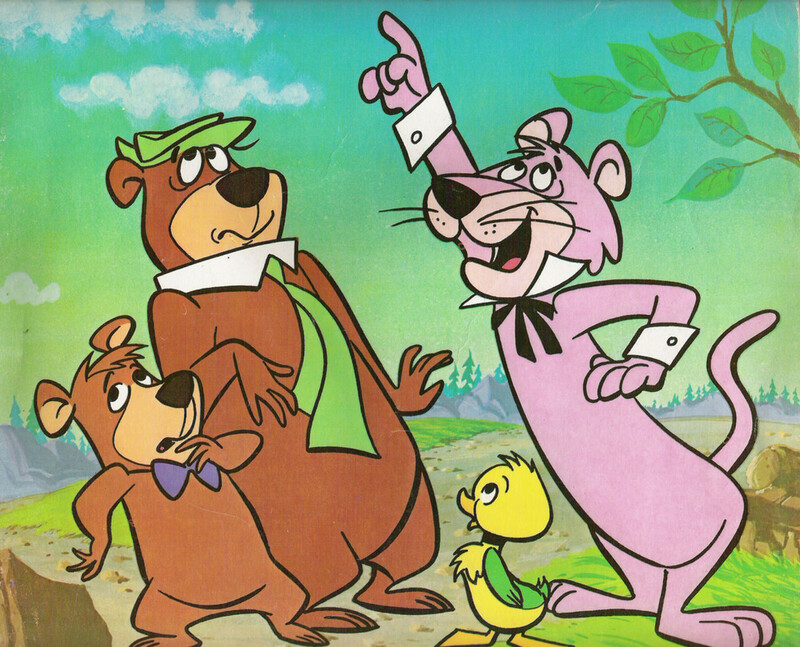 This makes it the first cartoon to be produced specifically to be aired on Saturday mornings. It aired for three seasons on NBC, with a grand total of 39 episodes. It was a great success, even to the point that Total TeleVision changed its name for a time to "Leonardo Productions". While we’re here, one might ask then, what was the *second* Saturday morning cartoon? 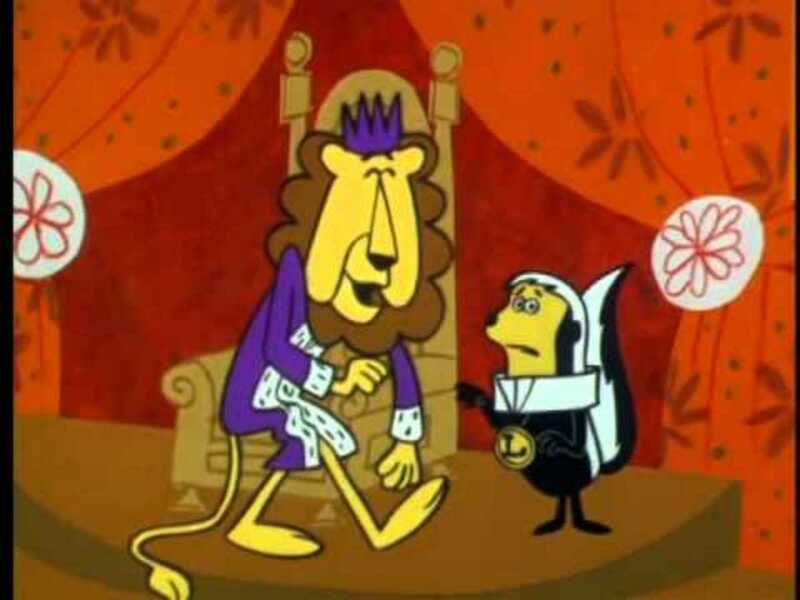 For the 1960-1961 television season, King Leonardo was the only cartoon airing on Saturday mornings (discounting CBS offering both a Mighty Mouse compilation show and the cartoons that Captain Kangaroo would play). 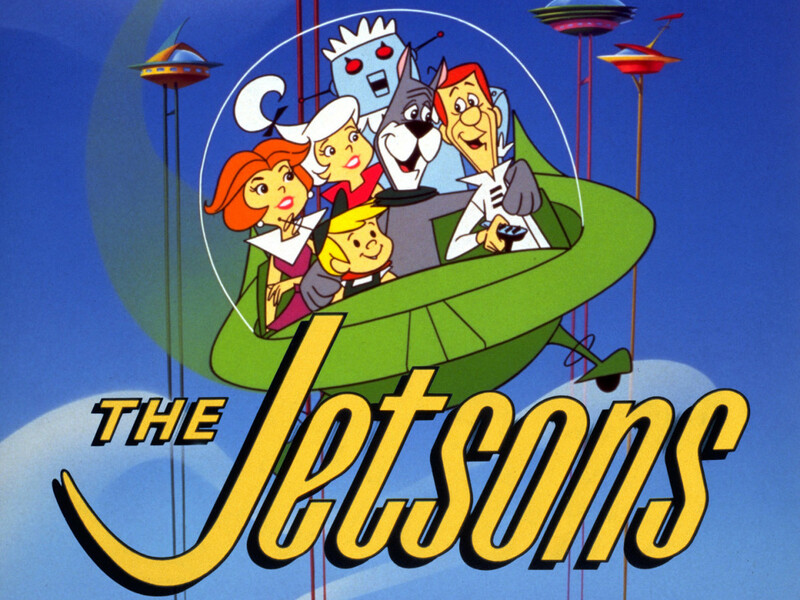 The next two seasons, the three networks began to add in more cartoons, such as Top Cat, The Alvin Show, and Calvin & the Colonel, but these were all reruns of shows that had previously aired in prime-time during the big animation rush of the early 60’s when everyone was trying to get a cartoon into prime-time following the success of the Flintstones. 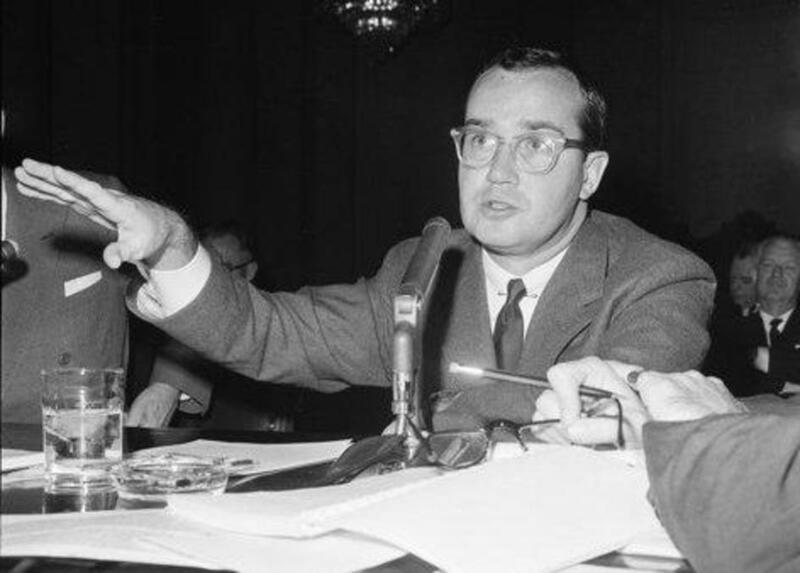 On May 9th, 1961, FCC chairman Newton N. Minow, who had recently been appointed to the position by President John F. Kennedy, delivered a speech at a convention of the National Association of Broadcasters entitled “Television and the Public Interest”. In it, he described television as a “vast wasteland”, devoid of good material and educational programming for children. The team at Total TeleVision (now calling themselves “Leonardo Productions” after their first series) took this speech to heart during the production of their next series. On September 28th, 1963, the same day that King Leonardo ran for the last time on NBC, Tennessee Tuxedo & His Tales made its debut on CBS at 8:30AM. 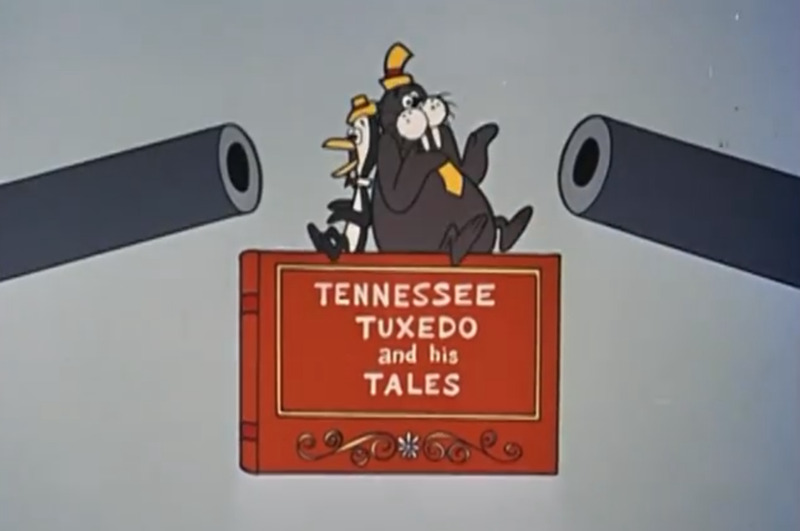 Like with King Leonardo, Tennesee Tuxedo also followed the Rocky & Bullwinkle format of a two-part story split by a collection of other shorts. The main attraction, Tennesee Tuxedo, centers around the titular character who is a penguin residing in the Megapolis Zoo. 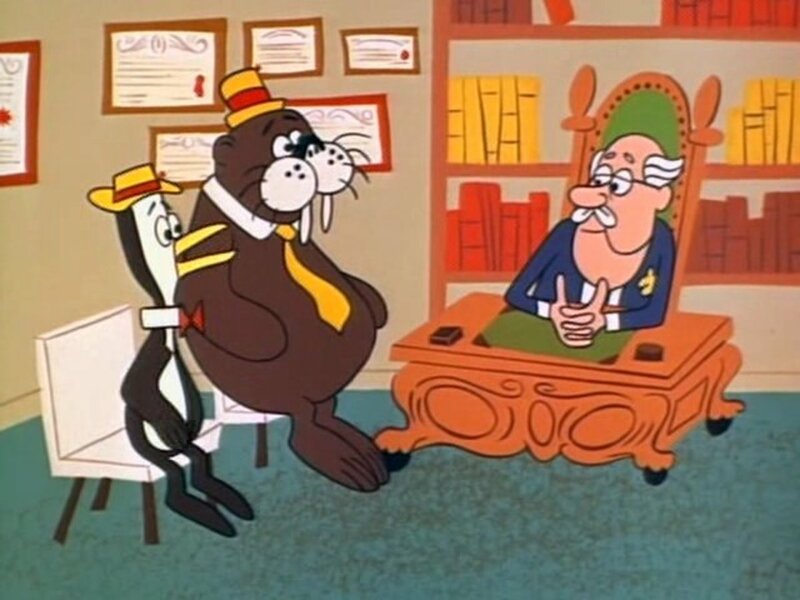 He and his pal Chumley, a dim-witted walrus, desire a life beyond just being zoo attractions; In many episodes, they simply want to be a part of human society, and escape the zoo to take on odd-jobs they inevitably goof up. The backstory goes that the zookeeper, Stanley Livingstone (named after explorers Henry Morton Stanley and David Livingstone), found them on an expedition in the South Pole. Discovering a rare one-of-a-kind South Pole walrus, he captured Chumley, but also got Tennesee after the penguin begged to accompany his friend. Livingstone always tries to stop them from escaping the zoo, and while sometimes he succeeds, he often fails (though they always end up back in the zoo anyways). Total TeleVision responded to the Minow speech by incorporating the character of Phineas J. Whoopee, an intellectual man whom Tennessee and Chumley frequently visit for advice. 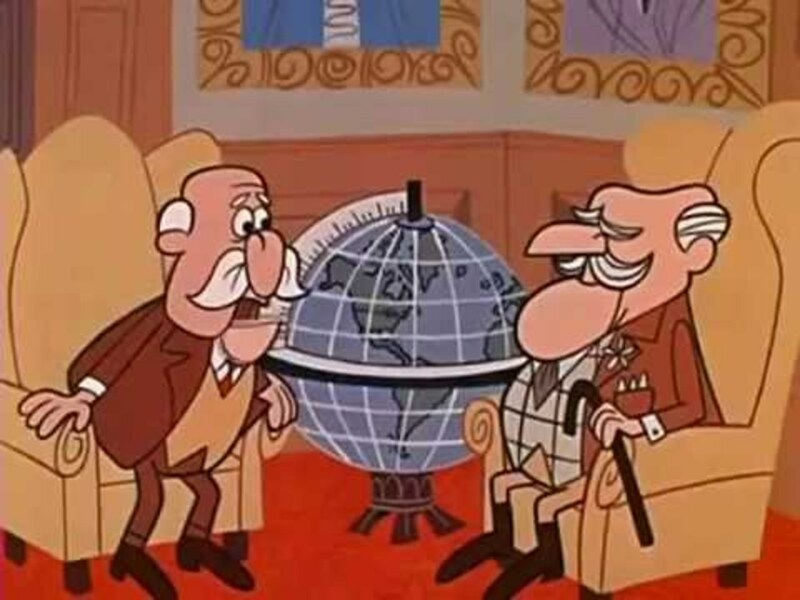 Whenever Tennessee and Chumley wanted to know a human invention works, like a parachute or a film projector, they’d ask Whoopee, who’d give them a lecture about it. Total TeleVision was careful to make sure children didn’t feel as though they were being lectured at directly with these educational sequences, making sure the lessons were presented as the characters being taught something. That way kids wouldn’t be taken out of being entertained, all the while still learning. Many of the voice actors from King Leonardo & His Short Subjects returned for Tennesee Tuxedo. Jackson Beck voiced Tennessee's main nemesis, a gangster named Rocky Maninoff who sounded like actor Humphrey Bogart. 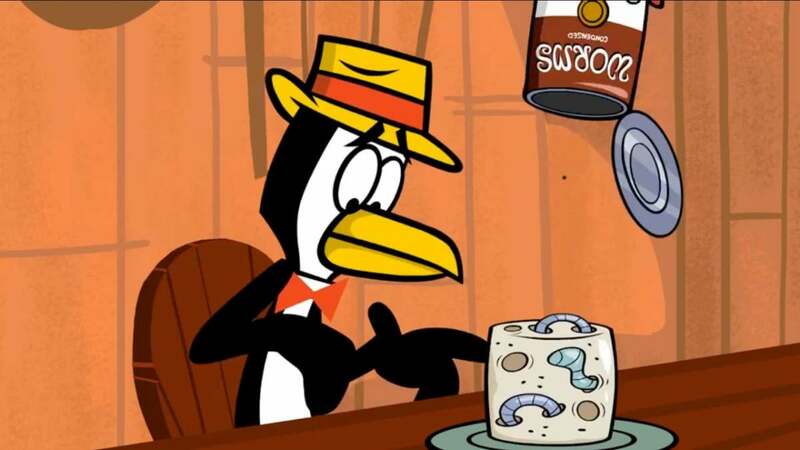 Kenny Delmar voiced the zoo assistant Flunky, as well as two of Tennessee’s other zoo allies: Yakkity Yak and Baldy the Eagle. 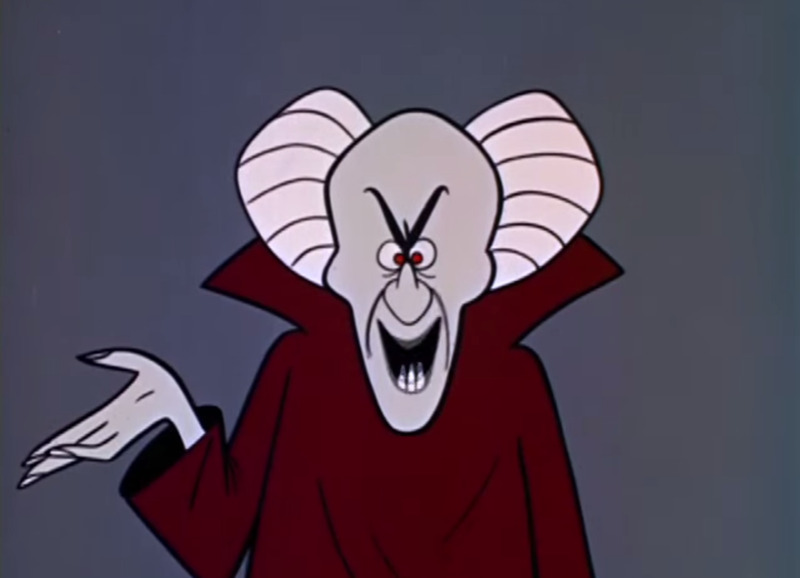 There’s also Bradley Bloke, who voiced Chumley and Tennessee's rival Jerboa Jump the Kangaroo Rat, Mort Marshall as Stanley Livingstone, and actor Larry Storch as Phineas J. Whoopee. 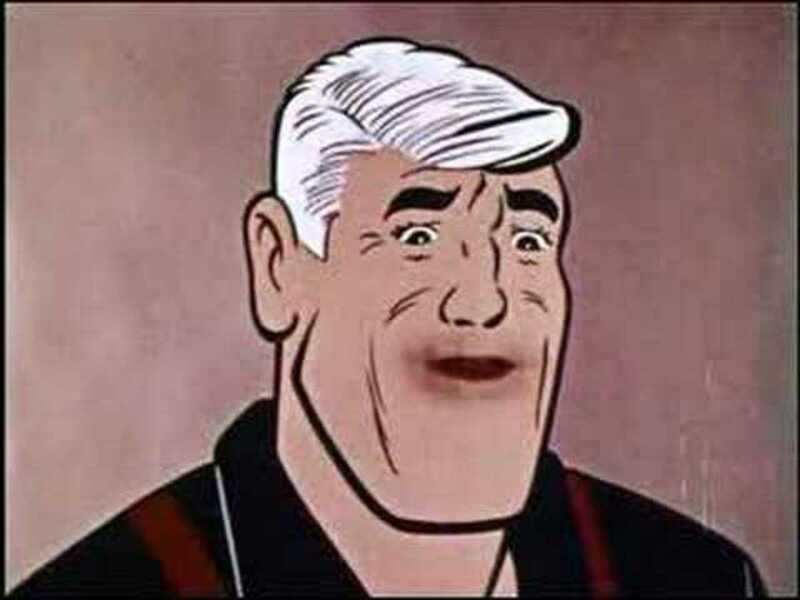 Most notably is comedian Don Adams voicing Tennessee Tuxedo himself, early in his career. Adams was already well-known for his comedic clipped character voice, a parody of William Powell’s speaking style, which he brought to the role of Tennessee. 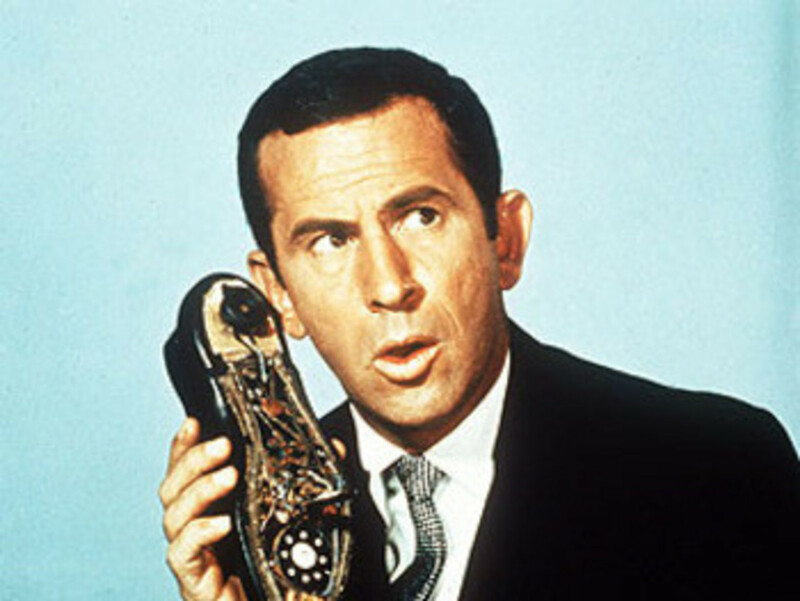 He would soon become well-known in television thanks to a role on The Bill Dana Show (which debuted about a week before Tennessee Tuxedo) and, two years later, as the lead on Get Smart. The show brought with it two back-up shorts. The first was Commander McBragg, a very short 90 second segment about a retired British naval officer (with a booming voice from Kenny Delmar) who would brag at a gentleman’s club about tales from his youth to other members (much to their dismay). Each tale would be increasingly ridiculous in nature, eventually concluding with the listener giving a pun in response to the climax of the story, to which the Commander would only reply “Quite”. Commander McBragg harkens back to an old character type, such as that of C. Aubrey Smith’s General Burroughs character from the the 1939 film “The Four Feathers”, which has often been cited as the inspiration for Commander McBragg. He might also be based upon Col. Heeza Liar, an early cartoon character that appeared in numerous shorts during the 1910’s and early 1920’s, who similarly was a retired British adventurer that told tall tales. The third segment was Klondike Kat, centering around Fort Frazzle’s wildcat Mountie (voiced by Mont Marshall) and his attempts to catch the elusive Savior-Faire (Sandy Becker), a french-canadian mouse who was always stealing things from other people. While Klondike was an incompetent goof like fellow cartoon mountie Dudley Do-Right (much to the frustration of his commanding officer Major Minor, voiced by Kenny Delmar in a voice similar to that of comedian Terry-Thomas), he’d (almost) always “get his mouse” in the end. Tennesee Tuxedo & His Tales also included the three shorts from King Leonardo & His Short Subjects. While Tooter Turtle was the same old shorts seen on the previous program, The King & Odie and The Hunter each produced 26 new shorts. A new addition to the Tennessee Tuxedo version of The King & Odie was the character of Mr. Mad (voiced by actor Norman Rose), a mad scientist who Itchy Brother and Biggie Rat now worked for. He’d devise schemes to capture King Leonardo, hoping to use him for experimentations, but inevitably (usually by Itchy and Biggie’s own incompetence) fail and teleport himself away before he could be caught. When King Leonardo premiered in 1960, there was only an hour of cartoons on network Saturday morning schedules (itself on NBC and a half hour of old Mighty Mouse shorts on CBS). 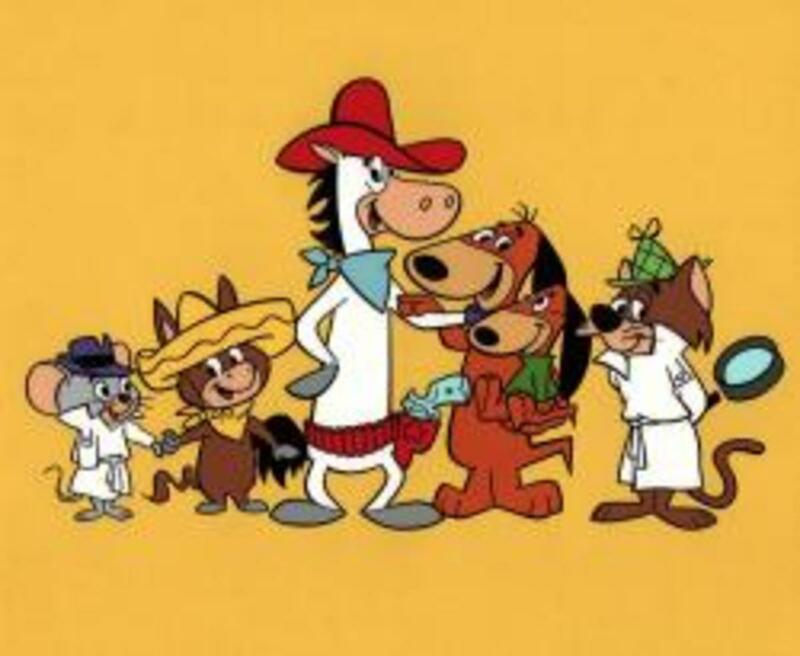 By the time Tennessee Tuxedo ended in late 1966, there were 11 combined hours of cartoons on Saturday mornings between the three networks, over 7 hours of which included material produced specifically to air on Saturday mornings. Total TeleVision had blasted the doors wide open for Saturday morning cartoons, establishing a tradition that would last for decades to come. Total TeleVision’s shorts would go on to have a healthy life in syndication, appearing as their own programs and, most notably, as back-up shorts on the Dudley Do-Right Show (as General Mills had some control over the Rocky & Bullwinkle shorts). In 2014, General Mills produced a handful of new Tennessee Tuxedo shorts online. 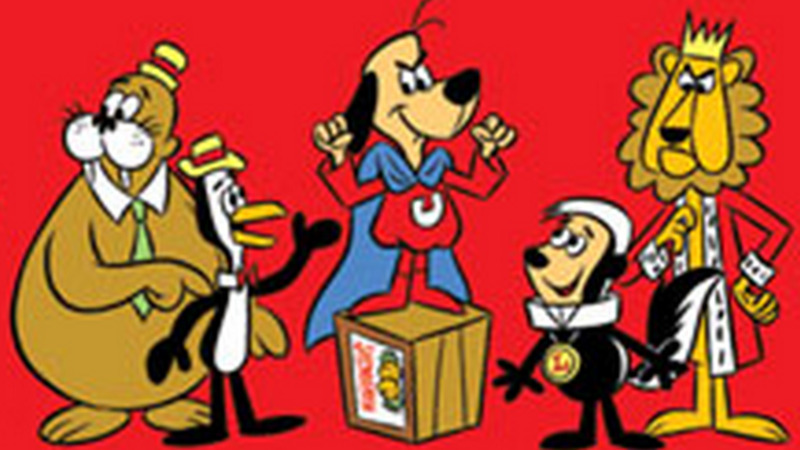 Several of the shorts would also resurface as a supporting part of perhaps Total TeleVision’s most well-remembered creation, about a little dog named Shoeshine Boy, who, when the day needed saving, would take a Super Energy Pill to become not a plane, nor a train, nor even a frog, but the hero of the big city, Underdog. Arnold, Mark. Created and Produced by Total TeleVision Productions. Albany: BearManor Media, 2009. Print. 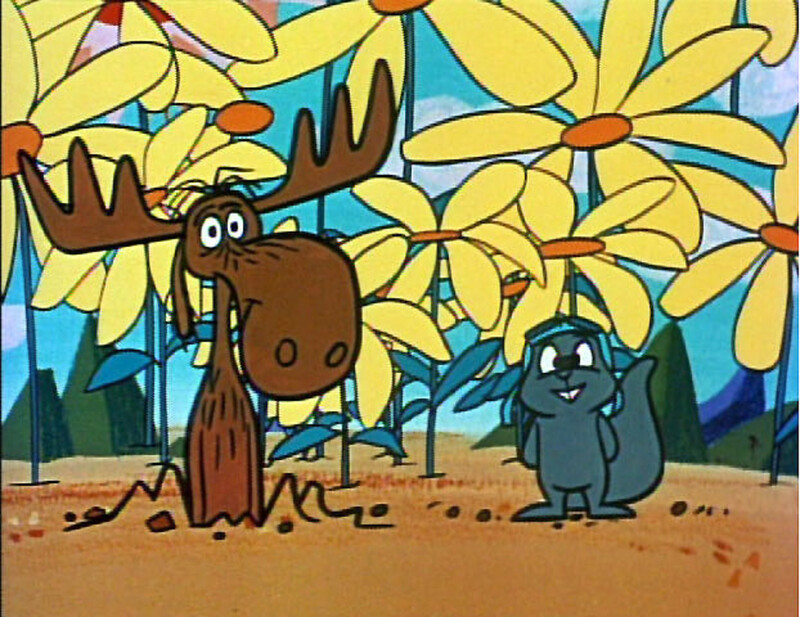 Rocky & Bullwinkle Retrospective: "The Birth of Moose and Squirrel" or "How Jay Ward Returned to Television"
Your hub brought back some great childhood memories. I loved Tennessee Tuxedo and Chumley. 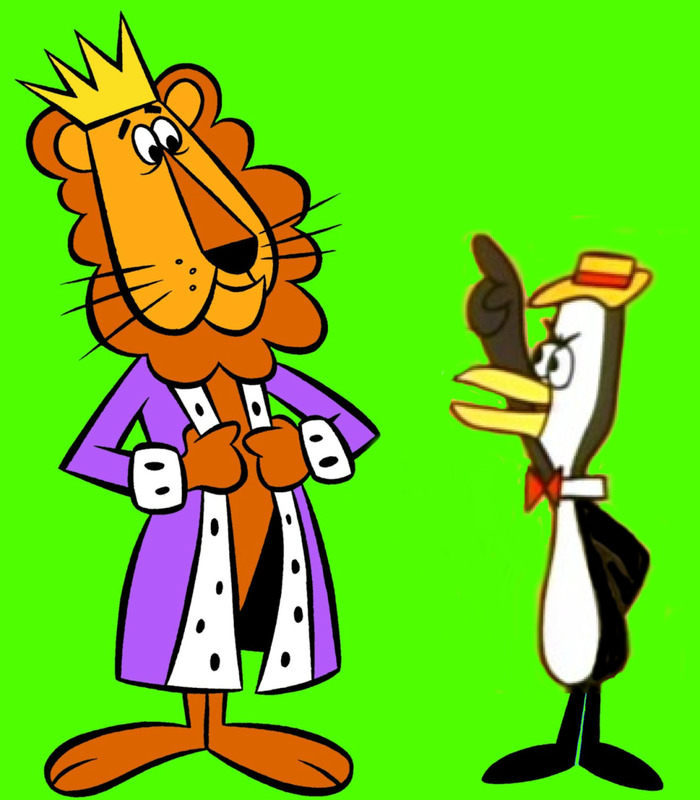 Thanks for this Great HubPage "Saturday Morning's First Cartoons: King Leonardo and Tennessee Tuxedo"
I remember these cartoons. Loved to watch them. I even remember after time had passed they put them on Sunday afternoons when nothing was on and it got boring for kids. Thanks for the memories.